The bus time from Yamagata Station is sightseeing Courses of morning 8:53 assumption. As bus stop is ride from the other side, transfer at Bihata-cho bus stop, please be careful. We think that you may use rental cycle from Yamagata Station in autumn season from spring. Please go without forgetting as reservation is necessary for visit. ・Lunch thinks that it is good to finish around around Bihata-cho bus stop and Saito wooden box mill on seeing time. ・When ride of bus is uneasy, ask tourist information center in front of Yamagata Station bus terminal. ・We can observe Yamagata-shi industry history museum without reservation. ・Bus to Nagai does not have time very much. Please be careful at the bus time. It is pivotal bus and train station of various quarters. 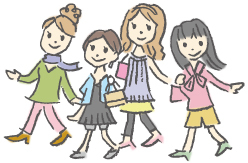 We can feel prefectural seat with overflow bustle in many people in time for commuting attending school. As fast food and cafe are open early in the morning, we are reliable. ※Please get on bus to Nagai. We are consistent by casting of "escalope attractiveness" characterizing Yamagata casting. 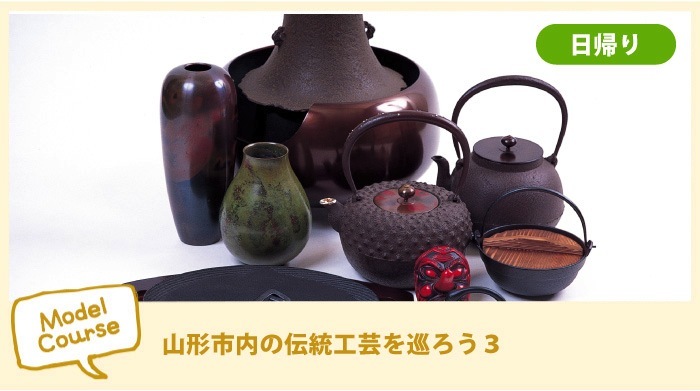 At Yamagata-shi industry history museum, we display main tradition craft of Yamagata-shi including Yamagata casting which is country-designated traditional craft and valuable industry historical materials. Please get on bus to Yamagata-shi government office. It is transfer. Bus stop is contralateral "Bihata-cho bus stop". Please get on bus for Tokai University Yamagata school. We are very popular as one point of tasteful thing. We are very superior in moisture-proof effect. 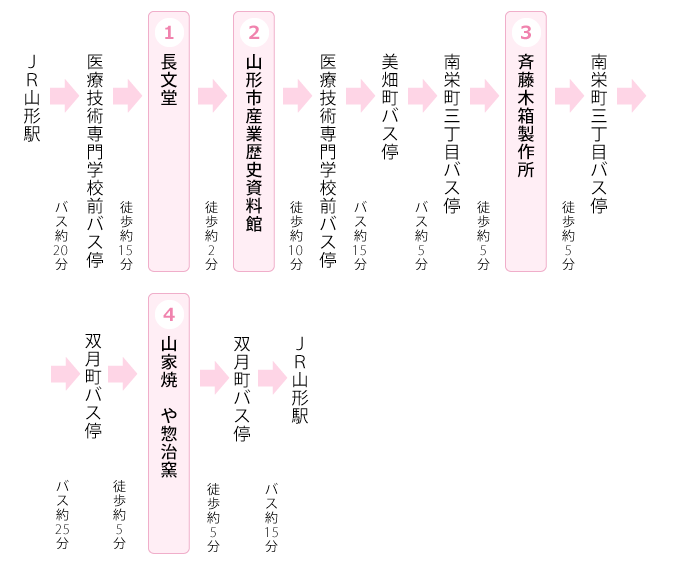 ※[visit] Reservation is necessary for this and [making experience]. Please get on to go to side (northeastern central hospital) of marsh. We can enjoy new technique and traditional work. Station lunch in Yamagata Nara and souvenir are sold in waiting for place that is Yamagata Station. We can purchase popular station lunch "beef right in the middle" lunch here.